Singapore, 28 June 2012 – Singapore’s marquee running event, the Standard Chartered Marathon Singapore (SCMS) 2012 returns for another year with registration officially starting on Friday, 6 July 2012, at Raffles Place Park at 11am. Acting Minister for Community Development Youth and Sports, Mr Chan Chun Sing, will grace the event as the guest-of-honour. He will be joined by Mr Richard Seow, Chairman, Singapore Sports Council (SSC); Mr Lim Teck Yin, Chief Executive Officer, SSC and Mr Ray Ferguson, Chief Executive Officer, Singapore, Standard Chartered Bank. 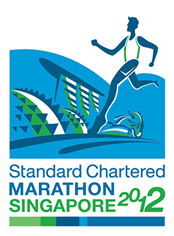 The first 1,000 SCMS 2012 registrants at the Raffles Green will receive a limited edition goodie bag as well as special race privileges. They will be entitled to priority sign ups and a 50% discount for running clinics, free transportation from designated pick up points across Singapore on race day, and there will also be a dedicated counter for them at the Race Entry Pack Collection (REPC). Furthermore, registrants from the queue at Raffles Place Park will also stand a chance to win attractive prizes (see below) such as SEIKO Men’s watches worth SGD$645 each, and Pure Fitness memberships (worth S$1,600 for six months and S$2,500 for 12 months), courtesy of the event’s sponsors. Runners will also be able to register for their running slots online via the official website (www.marathonsingapore.com) from 11am at 6 July 2012, as well as at Toa Payoh Sports & Recreation Centre (SRC) from 11am, 7 July 2012 onwards.